An early morning stroll for a couple of dogs in the village of Peille. 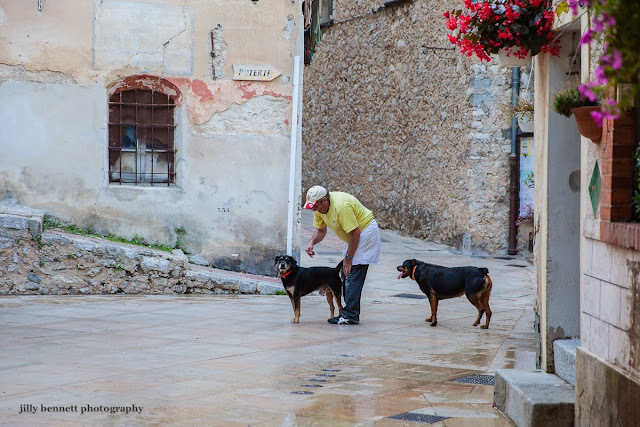 Peille is a mountain village 25 kilometres from Menton and Monaco. Here dogs can wander as they wish - and get a pat from the chef before he starts work. This is an idyllic scene to me! May you have a wonderful Sunday!